Two books about Maine moms landed on my desk recently. I’m a Maine mom, so I took both home to the reading couch. The non-fiction “Not Always Happy, An Unusual Parenting Journey” by Kari Wagner-Peck, MSW, and the novel “The Salt House” by Lisa Duffy are two very different, shining exemplars of mothers’ love, mothers’ wisdom and mothers’ struggles. Wagner-Peck’s memoir is the tale of her travails in adopting Thorin, a young boy with Down syndrome, through the Maine foster care system. She and her husband are “older” parents who want to love and raise a child; Thorin is in need and as they come to learn, adopting through foster care is a relatively fast way for parents in the U.S. to adopt. They jump in with hearts wide open and that’s where both the joy and the frustration begins. Red tape and unanticipated speed bumps abound, but Wagner-Peck quickly, as she turns 50, becomes a Warrior Mom. And that’s what is so moving about this book. She fights for her son every step of the way, pushing back against long-held barriers, sometimes succeeding, sometimes failing. Public schools make promises they are legally bound to keep but don’t. Educators dismiss Thorin stereotypically as “simple and dull and always happy,” which is far from the truth, as Wagner-Peck points out. Still, it’s all about the love as she fights for what she knows is best for her child while dodging an open container of applesauce pitched by him at her head and retrieving her keys, which he’s thrown into the toilet. Hope, the fictional Maine mom in “The Salt House” is staggering from the accidental death of her toddler, her third child. She feels negligent, guilty and unhinged. The story takes place a year after the death and is told from Hope’s point of view, along with those of her lobsterman husband, Jack, who throws himself into work to deal with his suffering; and her daughters who are watching the once happy and functional home and their parents’ marriage fall apart. To top it all off, an old acquaintance moves back to town, reigniting some long-buried demons and threatening Jack’s business. 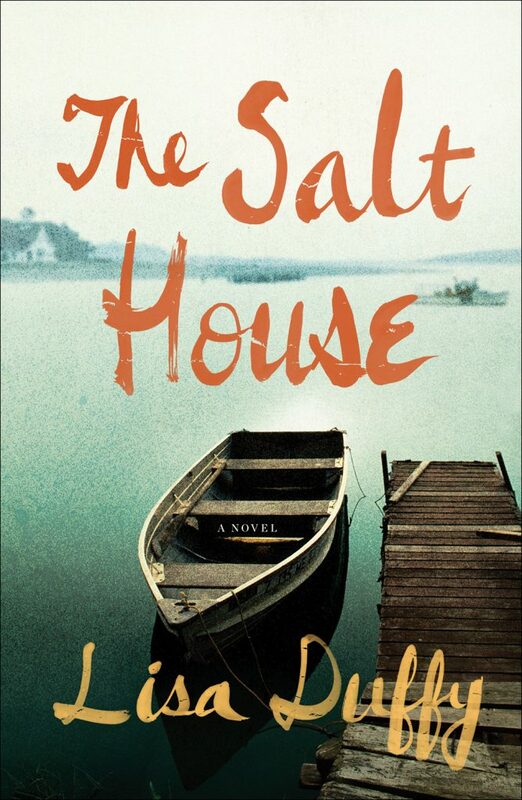 But at its heart, “The Salt House” is a mother’s story of regaining strength, love and power when it seems to be impossible. “Love isn’t always convenient,” Hope is fond of saying, but for her, gratefully, it abides. Amy Canfield is a mother, an editor and a writer who lives in South Portland.